On our farm we have an old horse barn. 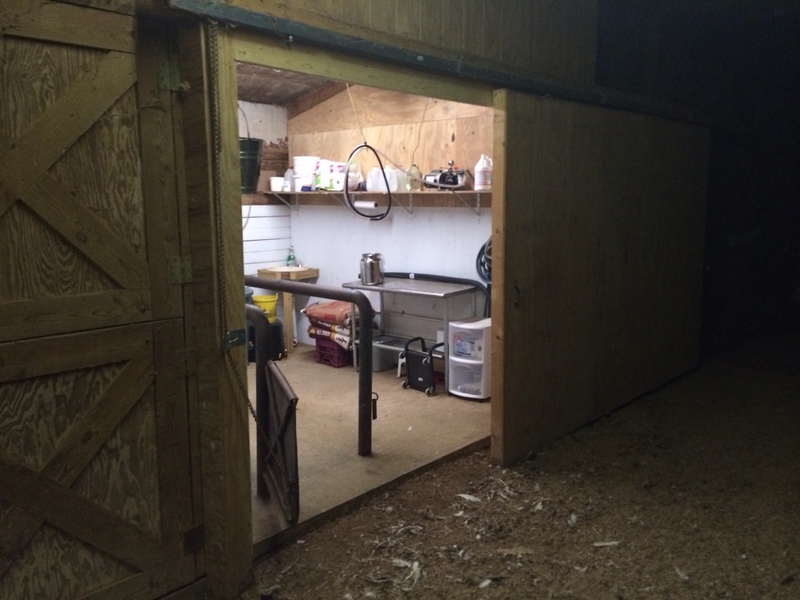 It doesn’t house horses anymore but it does hold the occasional sick calf, new pigs while they transition, chickens nearly all the time, and our milking parlor. When we first got a milk cow we struggled with how and where we were going to milk. 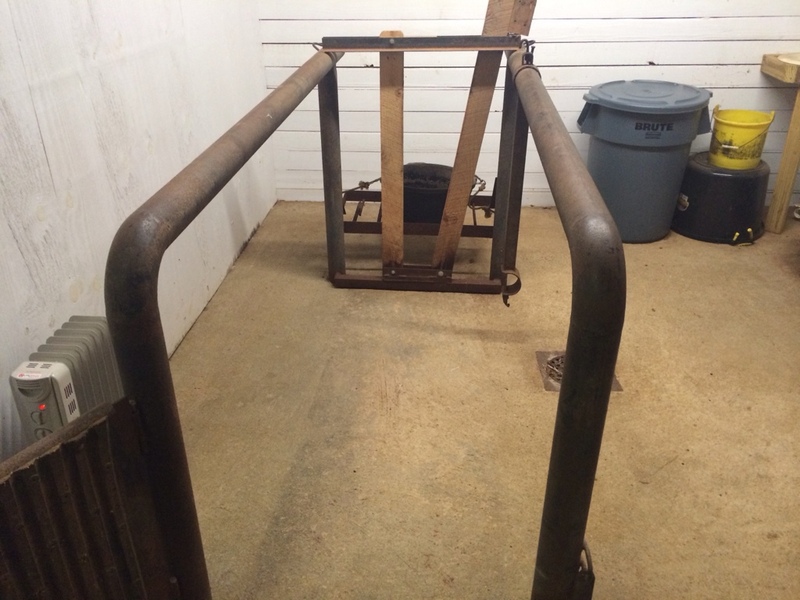 Finally I looked at the old horse wash rack and realized it was perfect. All it needed was a head gate and a place to hold food. I have some welding experience so off to the shop I went to fab up an appropriate field expedient modification. 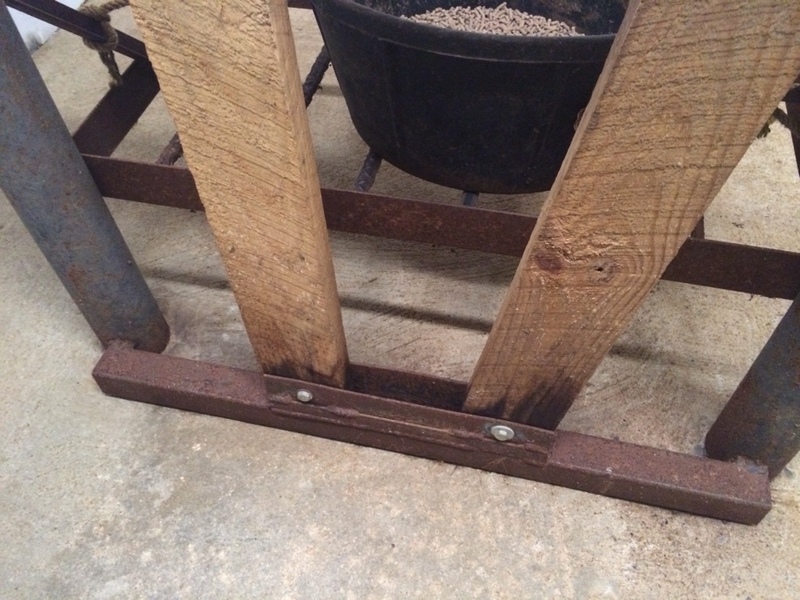 Two pieces of angle iron and some boards rough sawn from logs on our farm and we had a simple head gate. A bit more work and a trip to Agri-Supply and we had a food trough. 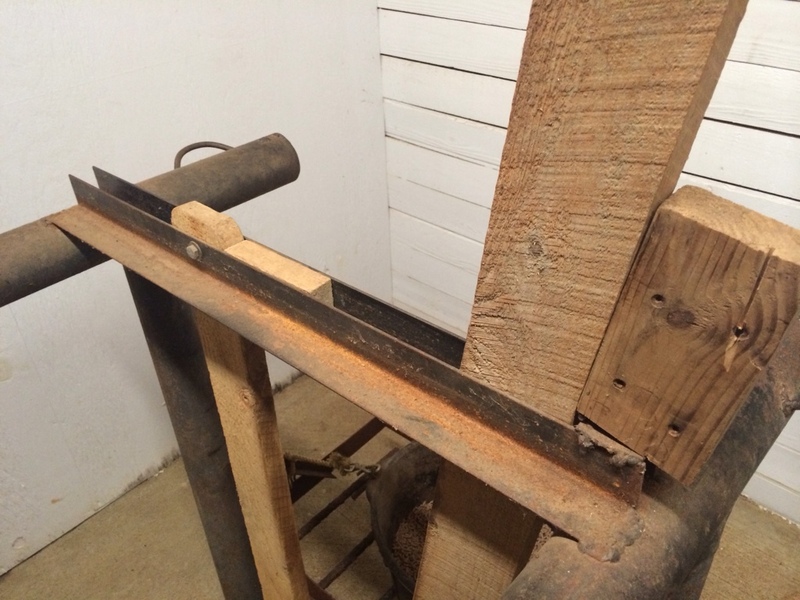 Two more pieces of angle to hold the bottom of the head gate. It’s worked like a champ since day one and only took about half a day to complete. The sliding door that covers up the entire room took about a day and a half to build but it was worth it. It really seals up the parlor and keeps the pesky chickens out. We were very fortunate to have the base for this milking parlor. 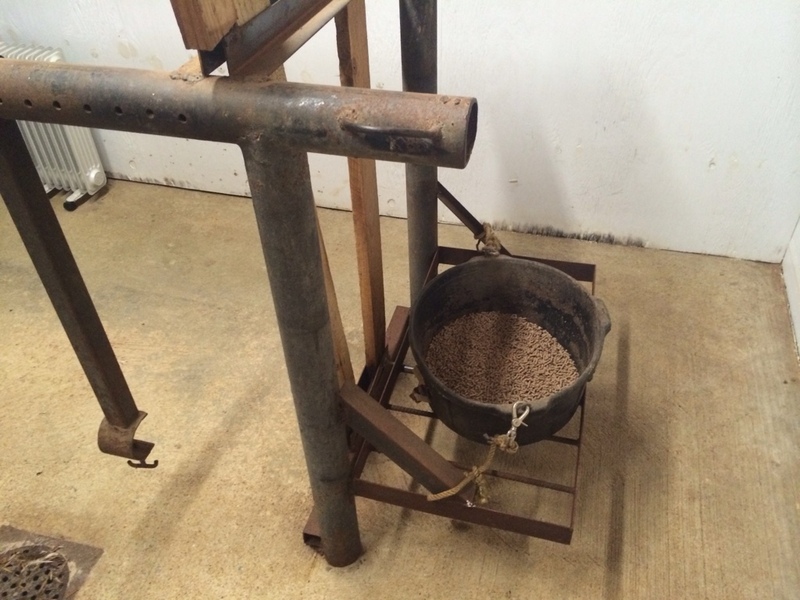 We have kept all the original parts for the wash rack so we can still bring animals in and treat them when we need to. It’s certainly nice when we have a really sick animal that needs extra attention, or when there is only a couple that need attention and the weather is nasty. This room has power and water so its a real convenience having it right in the center of the farm. It’s not as fancy as I’ve seen some people have but it fits us perfectly and is a real luxury compared to hand milking under a tree.